Proper dental health is very important to your overall health. Many folks are not aware of the issues that improper dental hygiene can cause. In fact, a recent study had shown that people with poor dental health are twice as likely to die before the age of 64 compared to an individual with a healthy mouth. There are many different ways that oral health can affect your overall health. First, your mouth contains numerous kinds of bacteria. Most of these bacteria are not a threat to your health. Whenever you come into contact with harmful bacteria, you are likely to remove those bacteria with regular brushing and flossing. However, poor dental hygiene can cause the bacteria to build up. This can lead to cavities and gum disease. When this happens, you increase your risk of those harmful bacteria entering your blood stream. Research has linked this to cardiovascular issues, such as clogged arteries, increased risk of stroke, and heart disease. Also, other recent findings have linked diabetes to poor oral health. The study appears to show that unhealthy and infected gums may have an effect on your blood sugar. This is because gum disease or gingivitis has been known to affect how the body produces and utilizes insulin. Unfortunately, once diabetes becomes an issue, it is harder to treat the gum disease that may have led to diabetes in the first place. This is because high blood sugar can make it difficult to control infections. Finally, one of the most overlooked aspects of poor dental health is the effect it has on mental health. Many folks with tooth and gum issues feel embarrassed and are self-conscious. In fact, oral health issues have been linked as early indicators of Alzheimer’s disease. 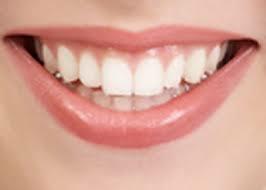 Also, when a person is self-conscious about their teeth and gums, they may avoid certain social situations. Many people who have chronic dental issues find themselves avoiding new people, certain foods, and even certain social situations. Low self-esteem can lead to increased isolation, anxiety, and even depression. Some folks are so uncomfortable about the poor state of their mouth that they avoid going to the doctor as they are afraid of being embarrassed. According to Karas Dental, in order to significantly improve not only your oral health, but your overall health, it is important to keep routine appointments with your dentist. Proper dental hygiene starts with brushing and flossing twice daily, as well as avoiding high sugar foods. Simple daily maintenance will help you avoid major problems down the road.